Here we are, back on the Artifarty page. It has been a while. However, I have been busy elsewhere. I have taken a break from acting whilst I was doing my school exams but in the next few months I will be back with a bang. I have been working on my own short film and although it has taken ages to complete, mainly because of raising funds, it is now completed and being sent to film festivals. Have a look at the new poster. 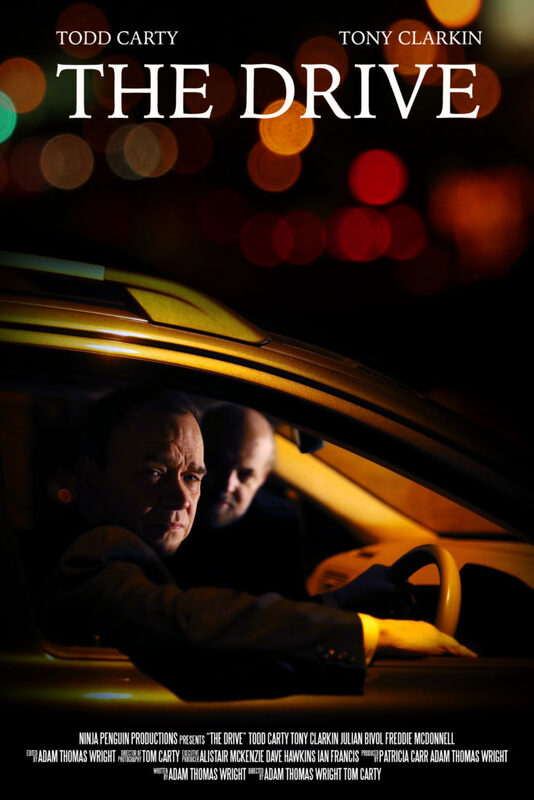 The Drive, starring Todd Carty. Huge thanks to our present backers and patrons.